← Welcome – I’m back home! 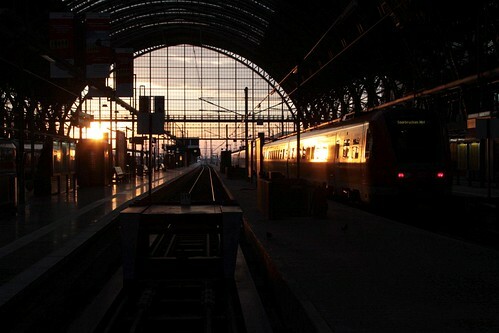 Start off at Frankfurt Hauptbahnhof, where the mainline DB trains stop beneath the train shed. A number of smaller private operators also use the station. 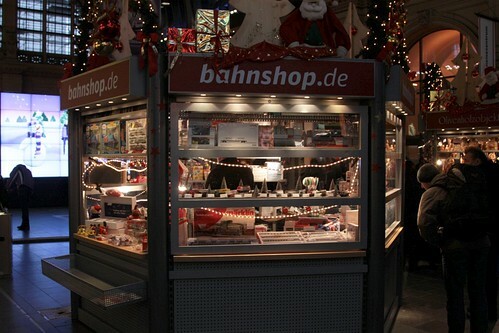 On the main concourse is a ‘Bahnshop‘ outlet – they sell special edition model trains, as well as a range of railway themed souvenirs. If you head to the far end of the platforms, it is easier to get a clear shot of arriving and departing trains. 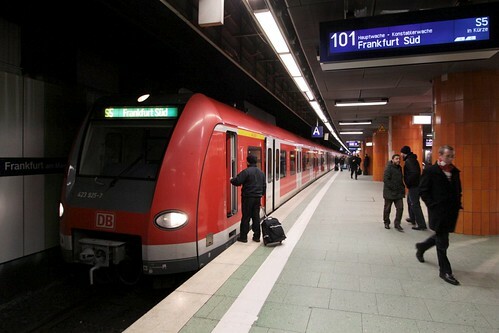 Meanwhile a level underground are the S-Bahn platforms, where the electric multiple units that serve the Frankfurt suburbs stop. Also at Hauptbahnhof is a station for the Frankfurt U-Bahn. I’d suggesting catching a eastbound train on lines U4 / U5. After alighting at Dom/Römer station and heading back to ground level, you will be at the Altstadt (old town) district of Frankfurt. 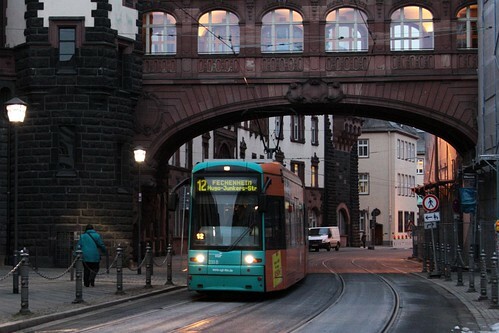 Trams run along Bethmannstraße, with the Seufzerbrücke (‘Bridge of Sighs’) crossing over the top. 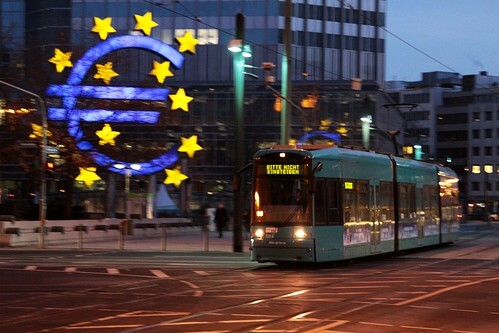 If you follow the tram line west, you will end up outside the European Central Bank office at Willy-Brandt-Platz. From there you can take the U-Bahn one stop back to Hauptbahnhof, or head back to where you started. I didn’t check out the following places, but they might be worth a look. From Dornbusch the three lines run at grade with several level crossings. The branch to Enkheim, as well as the two western legs, is a typical Stadtbahn route on a separate right-of-way, but with level crossings. 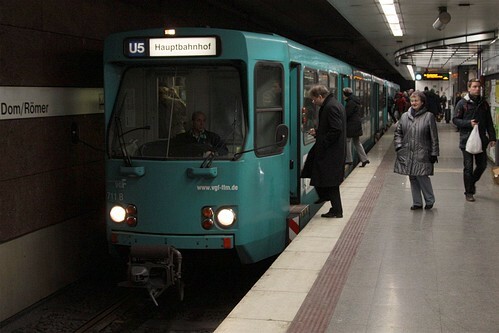 All stops except Fischstein have high-level platforms. 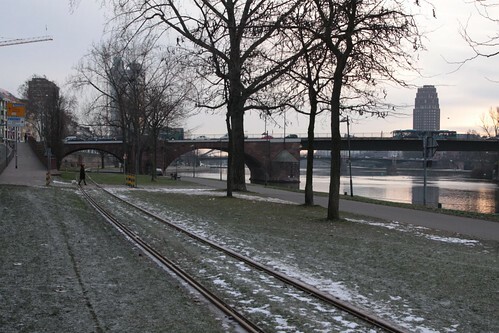 The ‘Historic Railway, Frankfurt’ runs along the Städtische Verbindungsbahn, which follows the northern bank of the river Main. Wikipedia has more details, with their website giving a timetable of running days. Where I was there, no trains were running. 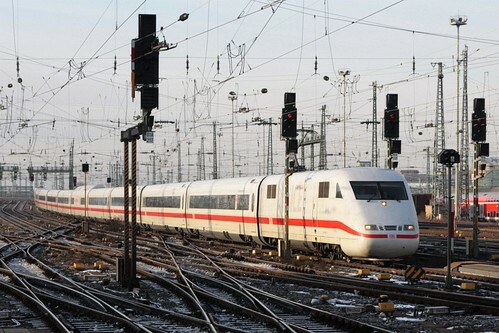 This entry was posted in Trains, Trams and tagged Frankfurt, Germany, railfan guides. Bookmark the permalink.